On Sunday Swansea City will play arguably the biggest game in the club's 100 year history… the League Cup Final. 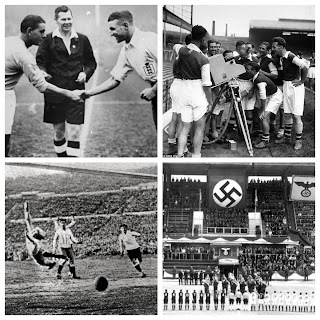 In many of my previous blogs I have made reference to going back in time to make comparisons with the modern-game.Whether it be 500 years ago with Tudor Football or 80 years into the past for the role of footballers in World War II. This time, we only need to look back 10 years to a club narrowly avoiding dropping out the Football League, performing in a crumbling stadium and the sheer thought of a Wembley Cup Final seeming impossible. The rise of Swansea City Football Club and indeed Welsh Football is nothing short of a fairy-tale. Prior to2011 and the start of my first year in Swansea University, any feeling of compassion towards the Swans was scarce. Being brought up in Cardiff made the thought of ever rooting for the South-Wales rivals insane! However, the clubs emergence from the depths of the Football League, its footballing philosophy and ethos has prompted me to rethink my stance on Swansea City (being a Liverpool fan helps, especially when we won 5-0 last Sunday)! Within the University, there is a strong sense of pride at the Welsh club’s recent success and a feeling shared with the majority of the locals or “Jacks” in Wales’ second largest city. 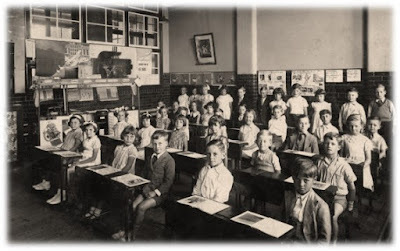 The Football History Boys were recently asked if we had any blogs on the history of Swansea, something we rather needed to incorporate into our plans. For me, there is no better time than 2013 to chart the rise of Swansea into a top-half Premier League side and Capitol One Cup finalists. For many Swansea fans this season’s cup run to Wembley is a long time in coming. The2013 League Cup Final being the club’s first ever major final (no, I’m not including the Welsh Cup or FA Trophy no matter how good they are!). The first real romance with competitions came in 1926 with an inspiring run from the then called Swansea Town to the FA Cup semi-finals. 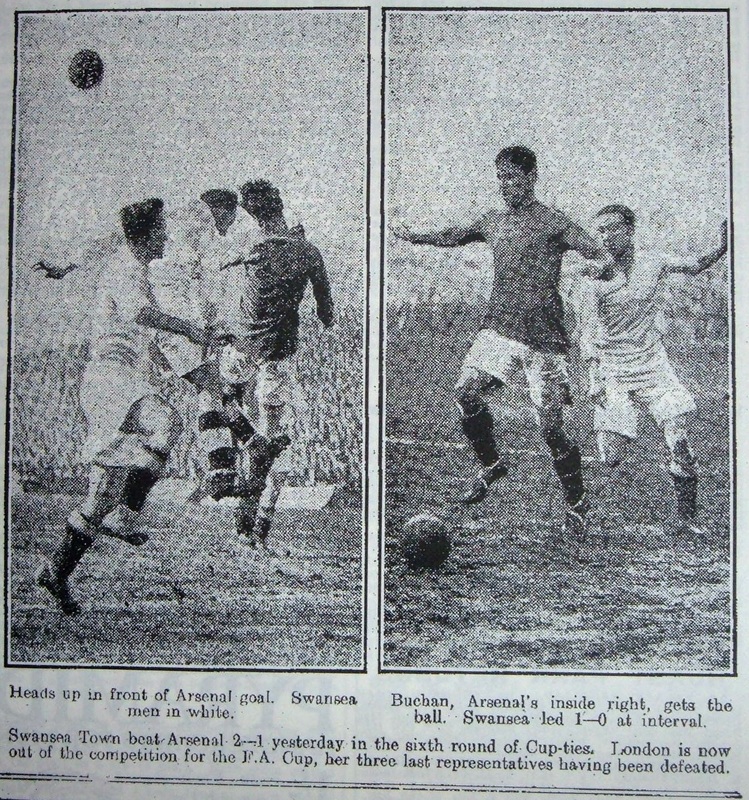 The club defeated the likes of Arsenal, Stoke and Blackpool along the way. 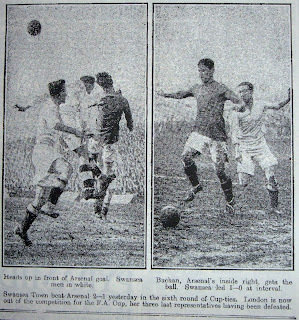 The following pre-season the good fortune would continue with the club even beating Real Madrid 3-0 on tour and in 1927, they reached the FA Cup quarter-finals. Unfortunately for Swansea in 1927 it was bitter rivals Cardiff who lifted the trophy at Wembley! It is the 1927 FA Cup victory which even to this day Cardiff City fans use as a “one-over”their Welsh rivals. For Swansea fans it would seem about time they managed to get their hands on a piece of silverware to add to the FA Trophies and Welsh Cups sitting pretty at the Liberty Stadium. The last run to the last four of a major tournament was in 1964 when the side even defeated Bill Shankly’s Liverpool at Anfield 2-1, before losing the fellow Second Division team Preston North End. During 1964-2011,the Swansea story is a tale of the most diverse of mixed fortunes. After the cup run in 1964 the club fell towards the depths of the Football League once more and suffered the tragedy of Roy Evans and Brian Purcell’s deaths from a car crash prior to a match in 1969. 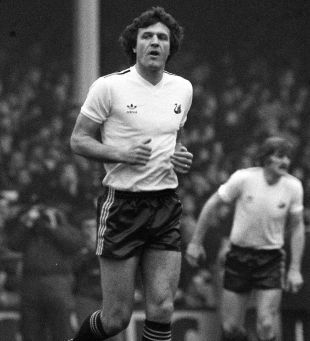 It wasn’t until former Cardiff City and Liverpool striker John Toshack took over at the Vetch in 1978 as player-manager did Swansea’s fortunes change. In a record four-year promotion charge, Swansea went from the pits of Division Four to the top of Division One by 1982. On the other hand success would bring devastating failure.Financial trouble and poor transfers led to two consecutive relegations and Toshack’s departure in 1985. 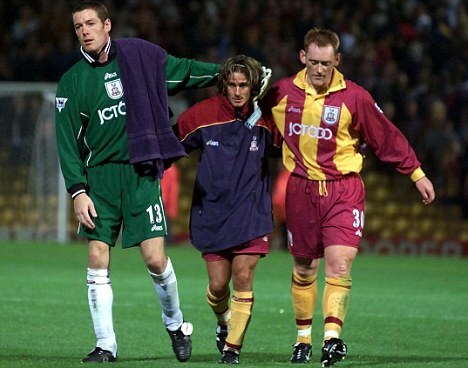 A fate similar to that of Swansea’s final opponents, League Two Bradford, who 12 years ago were also in their second consecutive Premier League season. The promotion gained via the play-offs in 2011 has provided a new dawn for Swansea City Football Club, who as previously mentioned was back languishing in the depths of League Two and performing in front of and average attendance of just 5159 at the Vetch Field only 10 years ago. Fourty-nine years Is, for Swansea Fans, too long to go without a significant cup run in one of England’s major domestic competitions. The final against Bradford could be one of the most significant in the club’s history. Some supporters will argue the Championship play-off final was the most important game for the Swans and to an extent I would agree. However,the match on Sunday will provide so much for the club. Victory will, aside from a first major piece of silverware, be a pathway for a Welsh club to compete in Europe through the Europa League. This will provide Swansea with a wider audience and a broader fan base as well as financial security, which is so important in modern-day football – just ask Cardiff and Bradford. On Sunday there will be a soft spot for Michael Laudrup’s Swansea(controversial I know! 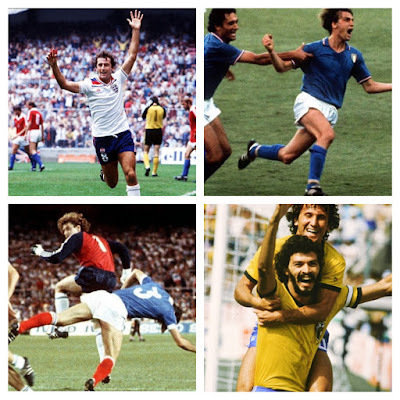 ), but the match means so much more than a local rivalry and getting one-over the Bluebirds. Of course it will be an added bonus for the Jacks to gloat about the possibility of winning the League Cup and doing what Malky Mackay’s side failed to do last year. Personally, the prospect of a Welsh club in Europe flying the Red Dragon to some of the continents major stadiums is too good an opportunity to miss. Welsh football is on the up and with Cardiff being a shoe-in for promotion to the Premier League we have the prospect of a South-Wales Derby on the biggest stage in World football (of course I will be supporting the Bluebirds in that case!). All in all, Swansea City really has epitomised the rise in Welsh football and long may it continue! Will there be more silverware for Gary Monk?